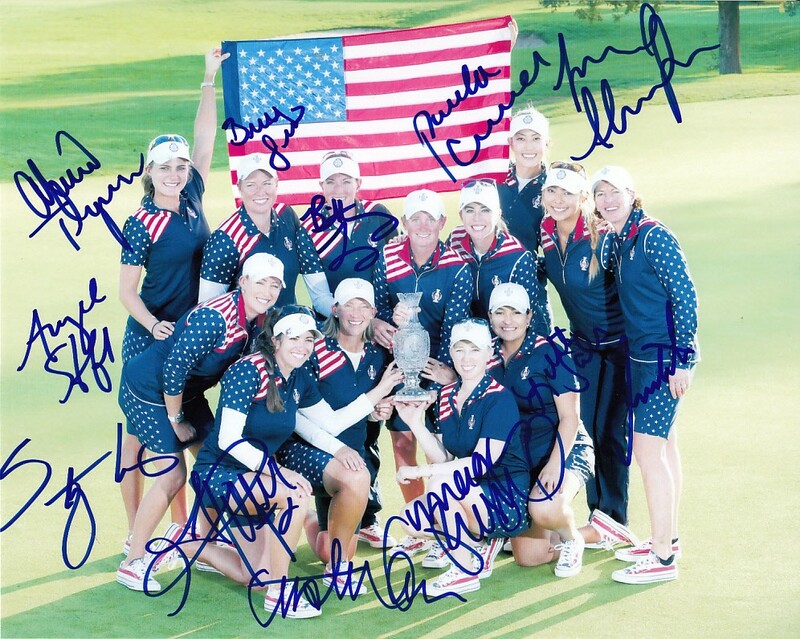 8x10 inch celebration photo of the winning 2015 U.S. Solheim Cup Team autographed in blue marker by captain Juli Inkster and the entire 12 member U.S. team: Paula Creamer, Angela Stanford, Cristie Kerr, Brittany Lang, Alison Lee, Stacy Lewis, Brittany Lincicome, Gerina Piller, Alexis (Lexi) Thompson, Lizette Salas, Morgan Pressel and Michelle Wie. Obtained in person, with certificate of authenticity from AutographsForSale.com. ONLY ONE AVAILABLE FOR SALE.